A power fruit for many, with its origin in Mexico, the avocado fruit is a super fruit which is packed with many health and beauty goodies. While the fruit is mostly used to make guacamole or sliced up and added to salads and sandwiches, the big round pulp inside the fruit can also be consumed in many other ways. Eventhough the pulp is too hard and bitter (I’ve bitten into it a few times) to be eaten, the nutrients in it can still be extracted and used for edible and non-edible purposes. When processed, the pulp in an avocado fruit contains about 30% oil which can be used to cook or applied topically on the hair and skin. 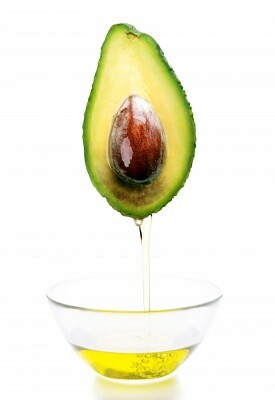 Infact, early Egyptian women discovered that avocado oil helped them grow long hair, as if their hair wasn’t long enough! What’s so special about avocado oil that I’ve decided to spend a few hours researching and writing about it? You’re about to find out! The oil extracted from the avocado pulp contains 3 main hair and skin nutrients which are linoleic acid, vitamin E (antioxidants which has anti-fungal and anti-bacterial properties), and monounsaturated fatty acids. While all these nutrients are awesome, the only nutrient which sets avocado oil apart from its extra virgin olive oil rival is its higher content of monounsaturated fatty acids, an essential nutrient which gives avocado oil its absorbing properties. 1. Because avocado oil absorbs deep into the skin and hair shaft, it is a great oil to use as a scalp oil or a sealant on fine to medium hair. 2. When applied to the scalp, it deeply penetrates, reaching the hair follicles to unclog the follicles, improve blood flow to the scalp, stimulate hair growth, and prevent hair loss. 3. In other words, avocado oil helps to strengthen the hair at its roots which helps to enhance hair growth cycle and improve length retention. 4. When applied on the hair, it absorbs into the hair shaft, promoting healthy, beautiful, shiny and stronger hair. 1. Relieve dry skin. This can be done by applying a few drops of the oil on the skin twice daily. 2. Relieve itchy skin, inflammation, burns and wounds. It’s absorbing properties leaves the skin feeling beautiful without feeling greasy. It’s also a great oil to use to relieve your baby’s diaper rash. 3. Avocado oil has also been known to prevent gum disease, so it makes a great oil to use for oil pulling. Oil pulling is done by swishing a mouthful of oil in your mouth in the morning to kill bacteria, the same way you would use a mouthwash. There are many ways you can reap the benefits of avocado oil, but here are some suggested uses to get you started. 1. Use as a scalp oil to relieve itchy scalp, improve scalp health and stimulate growth. 2. Use as a hot oil treatment. For ultra results, add some extra virgin coconut oil and olive oil to the mix, apply to the hair, leave in for at least 20 minutes, best to leave it overnight, then shampoo or co-wash the hair as usual. 3. Add to your prepoo or deep conditioning mix to enhance it’s hair repair properties. 5. Use to detangle your hair or to lubricate your hands before taking down a style or manipulating your hair to avoid friction and breakage.